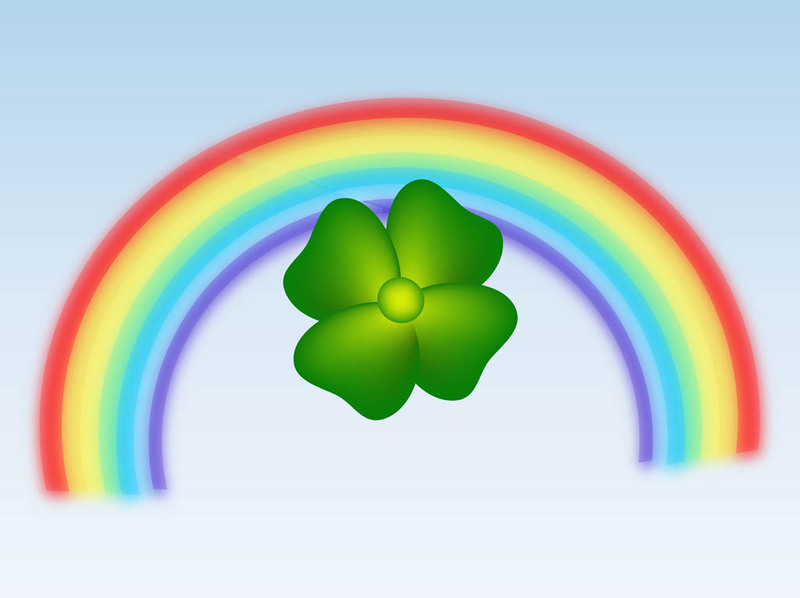 Nature vector footage of a curved rainbow and big clover leaf. Fresh good luck charm leaf and blurred waving lines in rainbow colors to decorate wallpapers, backgrounds, backdrop images, greeting cards, posters, flyers and clothing prints. Free vector image for nature, sky, plants and spring designs. Tags: Clover, Colors, Good Luck, Nature, Plant, Sky, Spring.